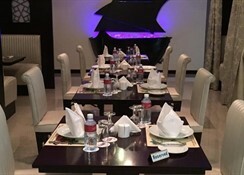 This city hotel lies at the heart of the city of Dubai- just behind the famous city centre shopping mall.Constructed in 2004- the hotel comprises a total of 108 rooms and affords views over the busy city. 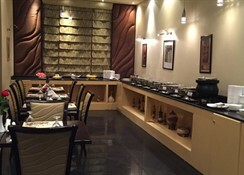 The hotel is ideally suited to meet the needs of business travellers and those seeking peace and quiet. 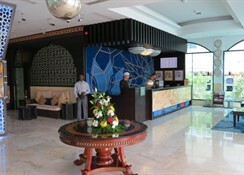 The hotel comprises a currency exchange counter- a safe and a lift. 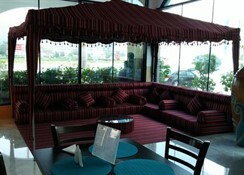 There is also a conference room and a WLAN access point available. 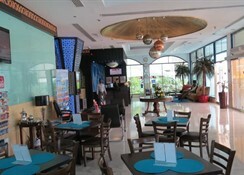 A variety of culinary specialities are to be enjoyed in the café and the Arabian restaurant. 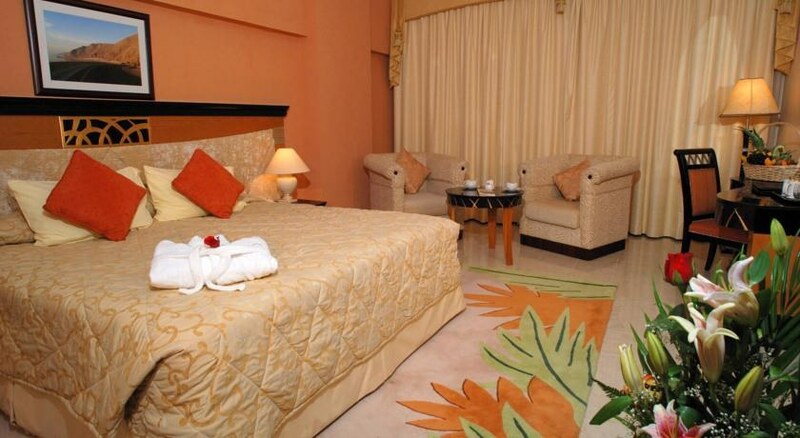 Room and laundry services are also available and there is a car park for guests arriving by car.The homely rooms and relaxing services make for a great and relaxing stay at this hotel. The modern rooms include a bathroom with a hairdryer- as well as tea and coffee making facilities- ironing equipment- an Internet connection and satellite/ cable TV. Air conditioning is centrally regulated.There is a swimming pool with a children's pool in the outdoor complex as well as a separate pool for female guests. A Jacuzzi and a gym are also available.Driving Directions: From Dubai airport- take the route to Deira City Centre-the hotel is just behind the famous City Centre shopping mall. A restaurant, an outdoor pool, and a health club are available at this hotel. Free WiFi in public areas and free self parking are also provided. Other amenities include a coffee shop/café, 24-hour room service, and a business center. All 115 rooms provide free WiFi, 24-hour room service, and cable TV. Minibars, coffee makers, and free newspapers are among the other amenities available to guests. 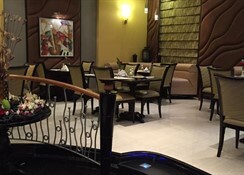 Just 4 km from the Dubai International Airport, this relaxed hotel with traditional decor is also an 8-minute walk from the metro station and 6 km from ancient artefacts at Dubai Museum.